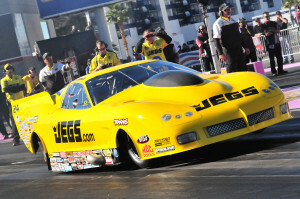 Troy Coughlin wins the 2012 NHRA Pro Mod Championship. Pro Line built the engines. Ball Ground, Georgia: In the lightning fast drag racing category known as Pro Mod three different types of power units compete: nitrous assisted, supercharged and turbocharged. Pro Line Race Engines are specialists in the latter and they burst upon the drag racing scene like few before it. 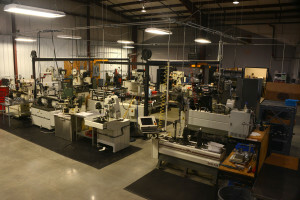 After frenetic activity over the past nine years, Pro Line not only came under new ownership in 2005 and moved factory from Woodstock to a spacious 24,000sq ft facility in Ball Ground, Georgia in 2011, but also their engines won the NHRA Pro Mod championship in 2012, won Indy in 2011, laid claim to the world’s fastest Pro Mod eighth-mile speed (221mph-3.56secs), and still hold the NHRA quarter-mile ET and speed record when Melanie Troxel recorded 5.77-258.71mph at Englishtown 2011. When Doug Patton (49) and Eric Dillard acquired ownership of Pro Line in 2005, Eric was only 22 years old. He had started three years earlier under Doug as a helper. “He doesn’t have any college training,” says Doug, “but he has a knack for running the business. We currently employ a workforce of around fifteen—seven or eight in the machine shop and seven or eight in the sales offices.” Even though the machine shop maintains the same number of employees, component sales account for eighty percent of their business. How did this come to pass? As the Amish would say, it wonders me. Pro Line specializes mostly in twin turbocharged technology, but more than this they specialize in the complete turn-key combinations, which include the race motor, EFI, fuel systems, ignition systems, transmissions, converters, in fact the full power train. Their engines and parts sales span the globe, including Canada, Brazil, Australia, and the Middle East. Petty usually begins with a base tune-up and then progresses to running the car over 100ft distance. 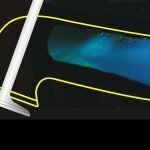 After assessing the data, he’ll advance to 330ft and so on until they reach 660ft—the one eighth mile. “Recently we took a new car to Bradenton for testing,” commented Patton. “Petty soon had it running in the 3.60s. Then it was taken to Qatar in the Arab emirate of Western Asia, and with further tuning it ran in the 3.50s.” This comprehensive approach has proven invaluable to Pro Line and its customers. The alternative usually means spending months in testing, often mired in bewilderment, attempting to become competitive. Pro Line’s turbocharged race engines compete in NHRA and NMCA quarter-mile events as well as eighth-mile competition under PDRA and Outlaw Drag Radial rules. Pro Line’s turbocharged race engines compete in NHRA and NMCA quarter-mile events as well as eighth-mile competition under PDRA and Outlaw Drag Radial rules. Commonly their engine block is created from billet aluminum by AJPE with displacements of 526, 540 or 572cu in. Fueled by methanol they call the completed engine the Pro Line 481X. The term 481 originates from a big-block design AJPE developed for the alcohol dragster class. The original cast aluminum Chevrolet block used an oversized bore of 0.125in and a stroke combination that resulted in 481cu in. Typically these engines cost $60,000 to $65,000. 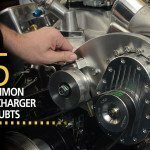 However, if you include the turbochargers, intercooler, injectors and fuel management system the expense increases to around $100,000. A new turn-key Pro Mod car commands between $250,000 and $280,000. 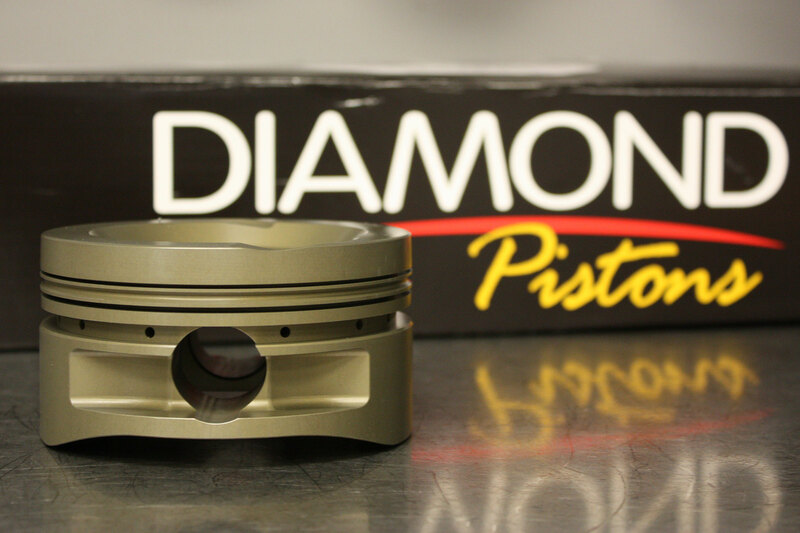 To maintain the correct compression ratio between the 526 and 572cu in engines, the piston’s top profile changes. 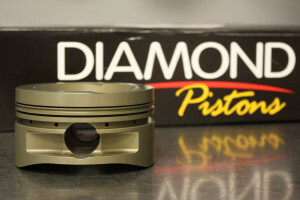 Because of its longer stroke the same piston in a 572 would generate higher compression than in a 526cu in. Compared with a blower or nitrous engine, the turbo unit requires less maintenance and thus this is Pro Line’s big selling point. Once the turbocharged engine is set-up correctly with the right components, the maintenance is fairly routine and uncomplicated. 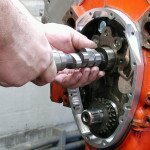 Among the chief tasks to keep in mind are regular oil changes and valve lash checks. Also, it’s important to ensure the air-fuel ratios are correct and that the exhaust gas temperatures remain within their normal operating range. For 2014 the NHRA rulebook limits the engine displacement of twin-turbocharged Pro Mod cars to 526cu in, twin turbos to 88mm, engine boost pressure to 43psi and a minimum car weight of 2650lbs. Interest in Pro Mod runs high this spring with thirty-nine teams committed to run the entire NHRA ten-race season. Conveniently, the NMCA, who runs six events in the east and five in the west, mirrors the NHRA rules. 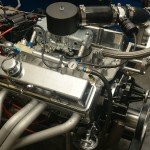 In contrast the PDRA, which will host ten to twelve Pro Mod eighth-mile events this year called Pro Extreme, permits lighter cars, bigger engines (540 or 572cu in) and 98mm turbochargers that generate in excess of 4,000hp. On the other hand, Outlaw Drag Radial rules are generally framed around stock suspension and heavier steel-bodied cars. For these reasons the extra stroke length of Pro Line’s 572cu in engine is popular. While the 526cu in motor operates with two injectors (a 550lb-per-hour and a 225lb-per-hour for each cylinder) the 572cu in often requires two 550lb-per-hour injectors for each cylinder, depending on the fuel pressure. Sensibly, most of the sanctioning bodies adopt Pro Mod rules close to those of the NHRA. But recently Pro Line has entered the enormously popular X275 class, which accommodates light cars with small-block engines, one turbocharger and tires smaller than the 17 x 34.5in rear slick of the Pro Mod. Improbable though it sounds the drag radial equivalent will actually outrun the slick. Pro Line’s genius for turbo charging took a bizarre turn in 2009 when one of their customers, Underground Racing, requested a Lamborghini upgrade. The first year they built three or four engines and the following year around ten. 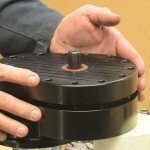 To date they have built over one hundred turbocharged units. These are dispatched all over the world from Russia to New Zealand. They generate 1,200hp at the rear wheels on pump fuel and as much as 1,900hp to the rear wheels on race fuel. To ensure reliability Pro Line endows them with special steel cylinder sleeves of their own design and equips them with special head studs made by ARP. And drivability? Amazingly, if driven gingerly they maintain stock drivability!